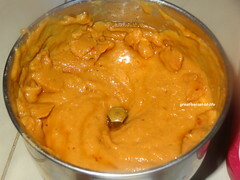 Slice the bell bepper into 1.5 to 2 inch thin slices. 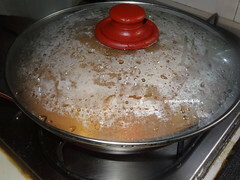 Heat rest of the oil in the kada. 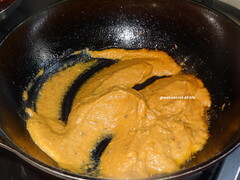 Add cumin seeds and let it crackle.. Add the grinded gravy and fry till oil comes out of it. 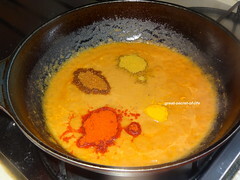 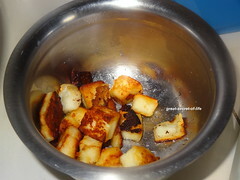 Add gram masala, chilli powder, coriander powder and fry till nice aroma comes out of it. 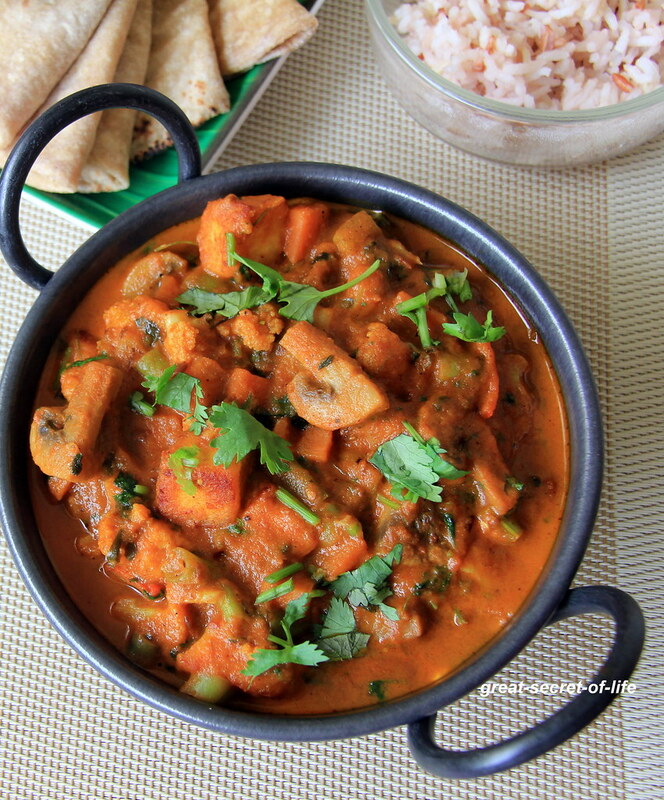 Serve hot with naans, rotis or jeera rice. 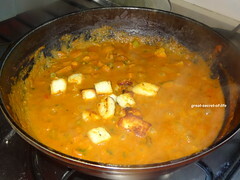 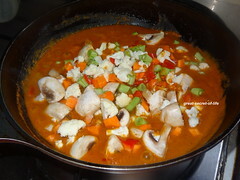 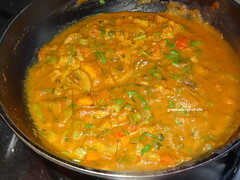 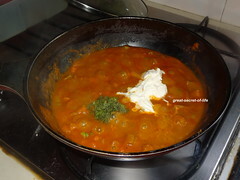 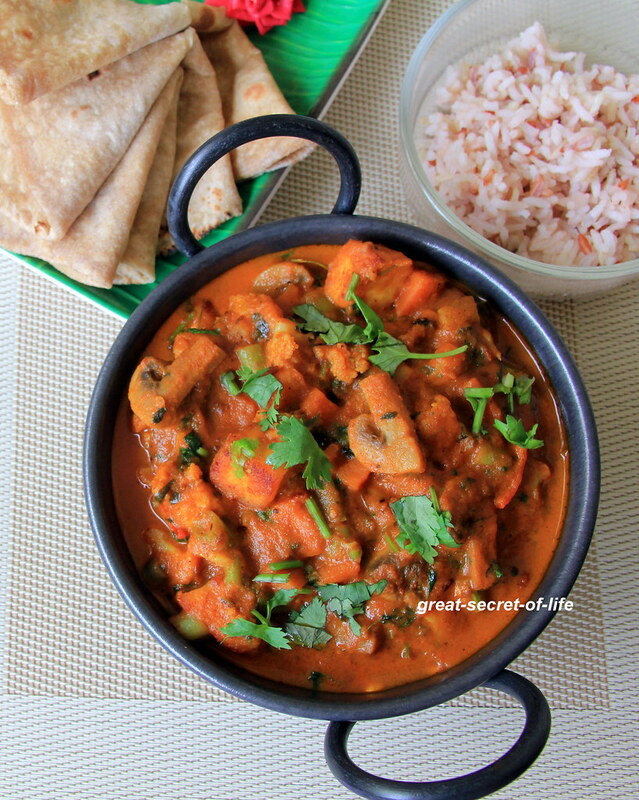 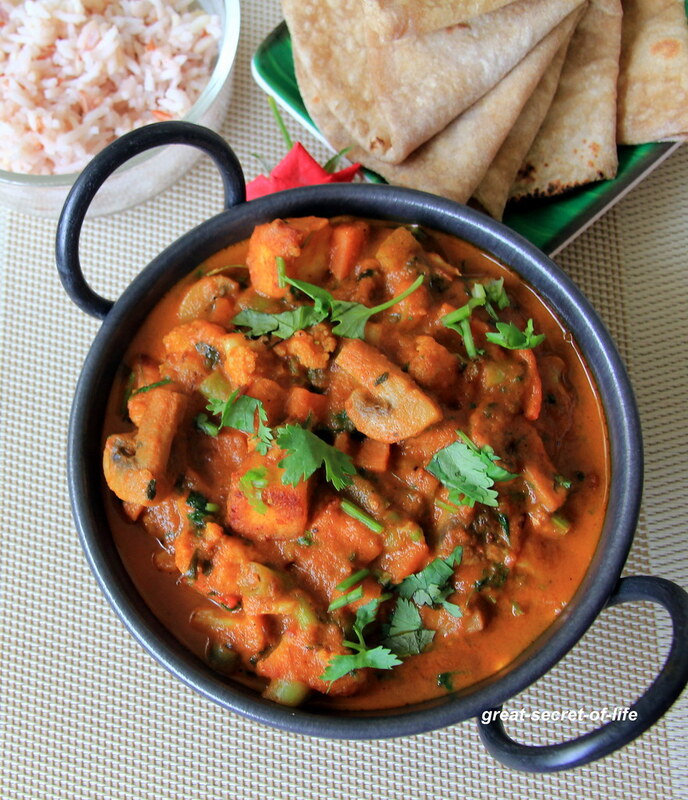 Delicious kadai veg curry, looks inviting..